We have been working hard with our appointed creative designers Haley Sharpe Design on early plans for the main exhibition space of the Calthorpe House New Centre. 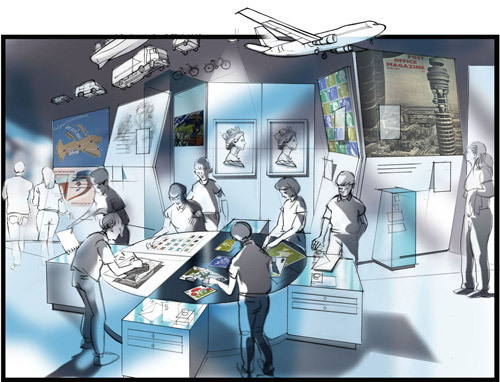 The 500m2 gallery will be split into five zones, each covering an era of postal history. 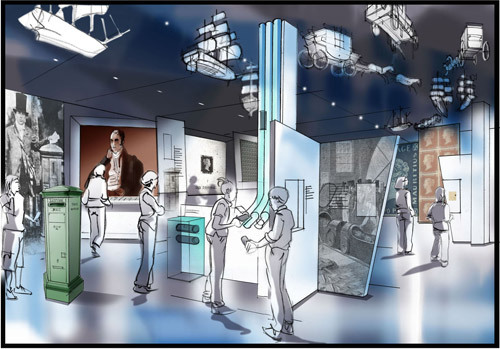 Zone 1 will look at the early days of the Royal Mail, with the BPMA’s 18th Century Mail Coach as its centrepiece, whilst in Zone 2 visitors will meet Rowland Hill – a visionary Victorian, who devised solutions to the short-comings of the postal service in its early days. On display visitors will find a variety of objects and records related to the design of the Penny Black, the world’s first postage, as well as other examples of great Victorian inventions that facilitated the sending and receiving of mail. Visualisation of Zone 2: “Reform and Innovation”. Between Zones 2 and 3, visitors can read profound and moving stories reflecting events from postal history during the early 20th Century, such as the story of the Royal Mail Ship (RMS) Titanic, the suffragettes who posted themselves to the Prime Minister, and the role of the Post Office during WWI. Visualisation of Zone 3: “The Post Office in Conflict”. 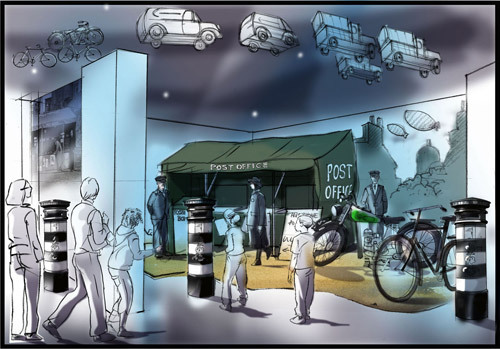 In Zone 3, visitors will step into a reconstruction of life in WWII London, whilst Zone 4, by contrast, will present a bright, visual feast, vividly demonstrating the time from the 1930s to the 1960s when the Post Office was a leader in style and design in Britain. Visualisation of Zone 4: “Style and Design”. Zone 5 will consider the modern Post Office, including the competition and challenges of 21st Century Communications, as well as the role of the service at the heart of isolated rural communities. Tell us which artefacts from the BPMA collections you would like to see on display in the new exhibition! Blog readers are invited to suggest a museum object or archive record that they would like to see included in the new gallery displays, with an explanation as to why you have chosen that particular item. The best suggestion, as selected by the BPMA Access and Learning Team, will win a signed copy of Julian Stray’s book Mail Trains. Results announced in January. Please send your suggestions by 30 November 2012 to: Andy Richmond – BPMA Access & Learning Manager, andy.richmond@postalheritage.org.uk. Now available from our shop is the book Mail Trains, telling the fascinating story of the development and history of carrying mail by rail, from the 1800s until today. The book is written by Julian Stray, one of our Assistant Curators. Central to the prompt delivery of the nation’s mail is its efficient and speedy transit the length and breadth of the country. From 1830, the Post Office relied ever more heavily on the overland rail network to provide what was for decades the ideal form of transport. Railway Post Offices, Sunday Sorting Tenders and District Sorting Carriages were amongst the services introduced. Railway Post Offices, carriages dedicated to sorting mail in transit, became known as Travelling Post Offices (TPOs). TPOs received mail at the start of their journey and at stations or bag exchange points en route. Mail bags were opened by travelling postal staff and the contents sorted and included in new mail bags made up en route and despatched at the appropriate station. One of the most remarkable aspects of TPOS was the bag exchange apparatus. 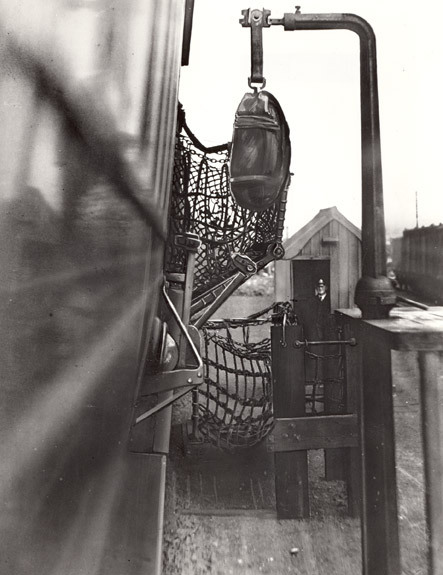 This enabled mail trains to pass stations of minor importance yet still exchange mail bags without halting. 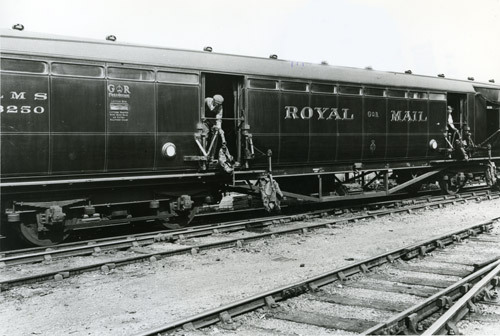 During the Second World War mail volumes carried by rail increased. Letters were essential for maintaining morale and connecting families separated by wartime. The rail network carried immense quantities of mail; in 1943 British railways carried 25 million mail bags and over 90 million parcels. 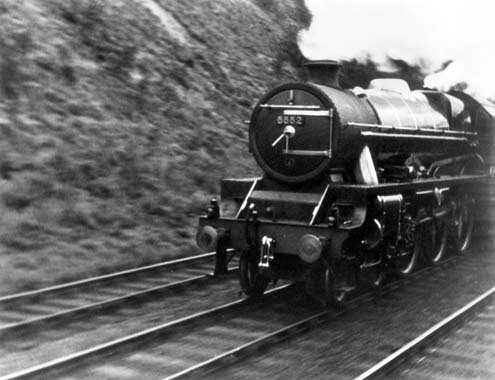 The final TPO service ran in 2004 and although the volume of mail carried is considerably diminished, mail trains continue to form an important part of the United Kingdom’s postal service to this day. Mail Trains is available from our online shop. Order before 10 April 2012 and obtain a 10% discount by entering the code BPMAW3BS1TE when you make your payment. 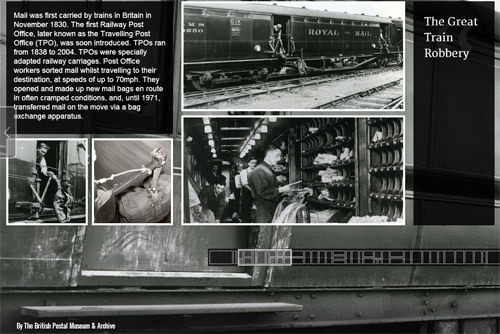 Visit our website to find out what life was like on the TPO in our Travelling Post Office online exhibition. 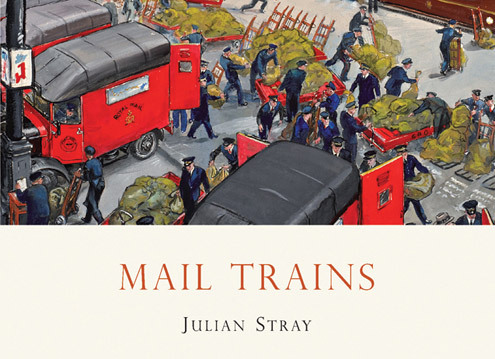 Hear Julian Stray’s recent talk on Mail Trains by downloading our free podcast. Download the podcast on our website or subscribe to the podcast via Tunes. 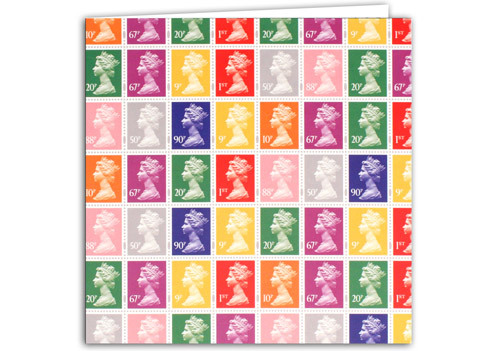 Join the staff and Friends of the British Postal Museum & Archive at our annual Open Afternoon on Tuesday 6 December 2011. See a showcase of our fascinating collections, take part in a range of activities, talks and tours, and find out more about who we are, what we do and what we’ve been up to in the last year. Events will run from 1pm until 8pm, and everyone is welcome to drop in at any time and share a mince pie with us! Hands-On Family Research: Was your ancestor a postie? 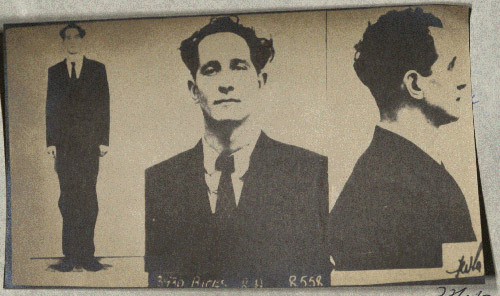 Our Archive Search Room Team will show you how to research your family tree. 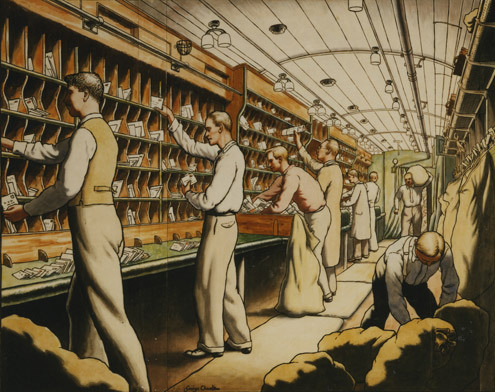 The Post Office in Pictures exhibition – for the first time in London! View the iconic photographs of the Post Office at work in the community sourced from the BPMA Archive. Behind the Scenes Tours: Discover the treasures of the Archive – from GPO Posters to philatelic gems – led by our Archive & Curatorial Teams. Tour of our Archive collections which fill over 2.5 miles of shelving and cover social, postal and design history from 1636 to today – at 2pm, 4pm and 5.30pm. Tour of the Philatelic Studio led my our Curator, Philately at 3.30pm. Booking welcome; subject to availability. The History of the Christmas Card: Learn more about the origin of this custom with material provided by our Cataloguing team. Preservation Surgery: Ask for advice from our conservator on caring for your own collection of family history records, postal history, stamps or photographs – bookings welcome! Learning Activities Sample Sessions: Find out how our Access & Learning team engage school children and young people in our postal heritage with a range of activities and resources. 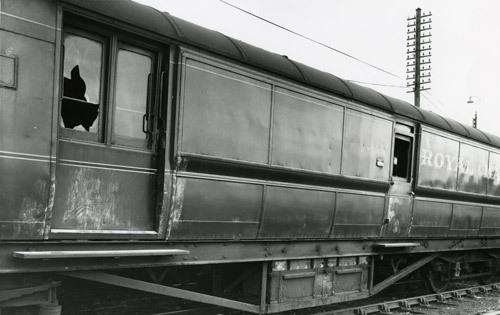 Mail Trains: Watch the classic Auden-Britten film production Night Mail (1936), talk to our curators about the Travelling Post Office and join a talk about the history of delivering the mail by rail at 7pm. For more information and for booking a place on a tour or the Preservation Surgery, please call 020 7239 2037.